← Are You A CAREGIVER? 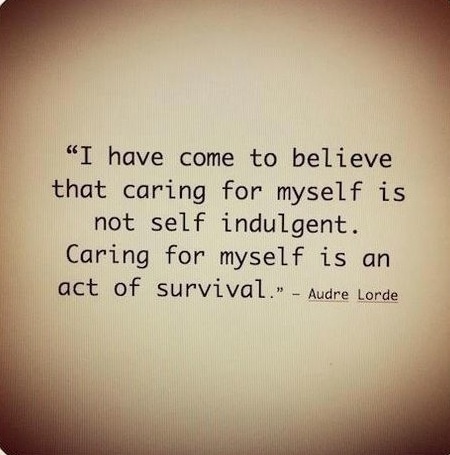 Caregivers: Take Care of Yourselves! Whether you care for children, aging parents, relatives, or anyone else, the job of a caregiver is unique in that it has no discrete beginning or end each day. You are often the lifeline for those whom you care for, both metaphorically and literally. As a caregiver, you may juggle multiple roles, both within and outside of your family. While caring for others is highly demanding, it can be extremely rewarding and is crucially important. At the same time, this role can be so consuming that it leaves you with less time for your other personal and/or professional responsibilities. With diminished time and energy to take care of yourself, you may find yourself neglecting your own needs. In the face of this “caregiver stress,” how can we take care of our loved ones and ourselves? Recognize how important it is. The stress that stems from caregiving can take a toll on our physical and mental well-being. Physically, the stress can lead to exhaustion. When that happens, we can easily fail to find time to take care of our health, leading to a dangerous vicious cycle in which health problems can progress and become chronic. Psychologically, caregiver stress poses risks as well. Depression, anxiety, and loneliness can often result from the pressures, demands, and lifestyle changes that come about when caring for others. Many studies have shown that women who are caregivers are at particularly high risk for both physical and mental health problems, including coronary heart disease and depression. Many of these problems can be prevented, however, by making self-care a high priority and finding creative ways to achieve it. Make time to take care of yourself. Although meeting your loved one’s needs is a central part of your life, your needs are equally important. If you are not well, the quality of the care you provide to others in your life will surely decline. Rather than telling yourself “I don’t have time,” find a way to make the time, and set a short list of reasonable goals to promote your health and well-being. Find household or other duties that you can delegate to family members, friends, or hired help, or activities that you can temporarily suspend so that you can be make time to prioritize wellness for yourself. This entry was posted in caregiving, eldercare, working caregiver and tagged aging, caregiver burn out, caregiving, eldercare, healthy living, self-care, working caregiver. Bookmark the permalink.